Get notified when Music Midtown tickets are available! The Music Midtown Festival is one of the major music festivals in the United States, with a history that dates back to 1994. The festival has attracted more than 300,000 people some years and it is a two day event that has six main stages. One of the major Atlanta radio stations generally sponsors a stage and presents the bands playing there. In the past, bands have include Pearl Jam, Ludacris, Joan Jett, Journey and Greg Allman. This is one of the highlights of the year for the city of Atlanta and for music lovers everywhere. 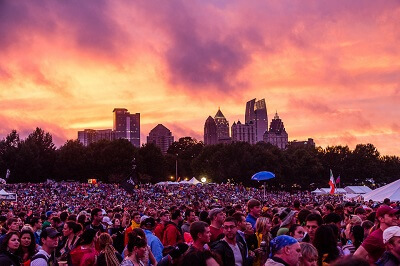 Get your Music Midtown tickets right now and attend this year’s exciting festivities in Atlanta, Georgia.